While all of initiate-it’s team members are talented and experts in their respective fields, maybe none are more proficient at their assigned tasks than Pearl, initiate-it’s Chief Happiness Pawfficer. 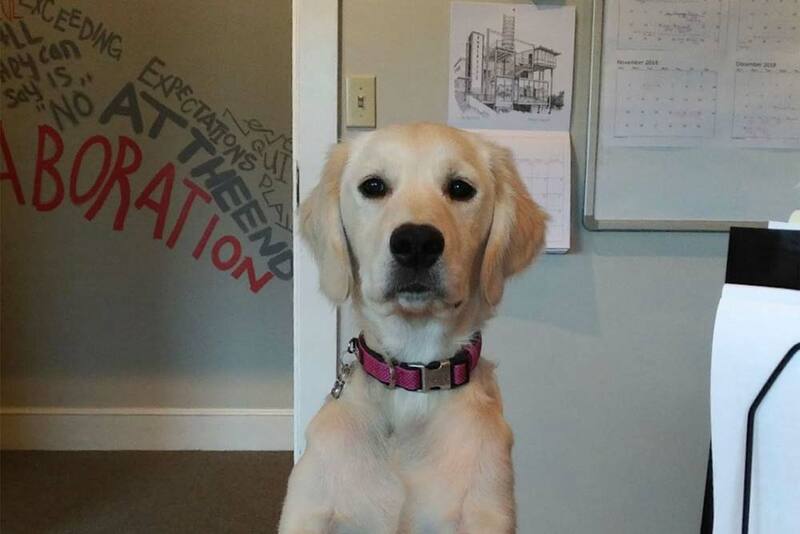 Known for her tenacious attitude and ‘go-get-em” mindset, Pearl fits in well with the rest of the office and has been nothing but a boon to productivity since joining the team. Her presence has contributed to record highs in smiles, use of puppy-voices, and bathroom-related accidents – much to the chagrin of her mother, Anne Powell. Pearl has been a committed advertising specialist since she was just a little pup in the industry, and now spends her days inspiring the office with her charm, honing her technical expertise skills, and chewing on the wheels of rolley-chairs.